ITALIAN RESERVATION OF ONE OF THE MOST POPULAR POKER ROOMS. 888poker.it is the Italian reservation of one of the old-timers of the online poker industry - 888 poker network. Italian fish have long been known for their low skill and not a single poker professional will miss the opportunity to increase their winrate by playing versus them. Especially when it comes to playing in a solid and reliable poker network. Cash traffic is not as high as we would like it to be, but its main benefit is the low level of opposition. Traffic peaks in the evening in Europe. All traffic is focused at 6-max and 9-max tables. Game at limits above NL100 is not regular. There are usually about 3-5 tables at NL100. At NL50 - up to 5 tables. At NL20, NL10 - 5 tables at each limit. The most popular limits in Omaha are PLO25 and PLO50, at other limits game is kinda rare. MTT traffic is pretty good and you can find some very interesting tournaments. Most of the tournaments take place after 6 PM Moscow time. Every day there are about 50 different tournaments. Most of the tournaments have buy-ins up to $ 22. The most expensive daily tournament is € 3.000 The Big daily with a € 109 buy-in. On Sundays 5.000 € you can play Sunday High Roller for € 250. Sit & Go traffic is quite low. The room has its own type of spins called Blast poker. Unlike traditional spins at Poker Stars, 888poker.it uses a 4-max format. At the beginning of the tournament a timer starts, after which all players go all-in. The client is available in Italian and English. Basically, it copies the client of the main site - 888poker. Players (3-6, 7-10) - to filter by the size of the tables. Table type is indicated by the corresponding graphic icon (Push or Fold, Fast, Snap, etc.) to the left of the table name. Game (Holdem, Omaha) - filtering by game type. To the left of the tournament name there is a graphic icon indicating the type of tournament (Short-Handed, Turbo, Super Turbo, Snap, Private, Progressive Knock-Out, 2nd chance, etc.). 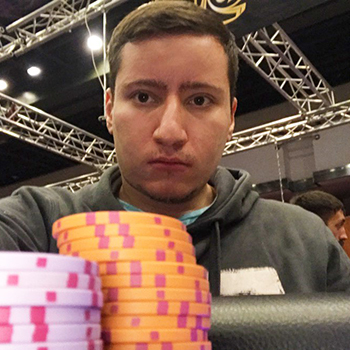 In general, given the relatively weak level of fields, we would not recommend to limit yourself by using game filters, since playing a little more expensively than usual can bring more profit. 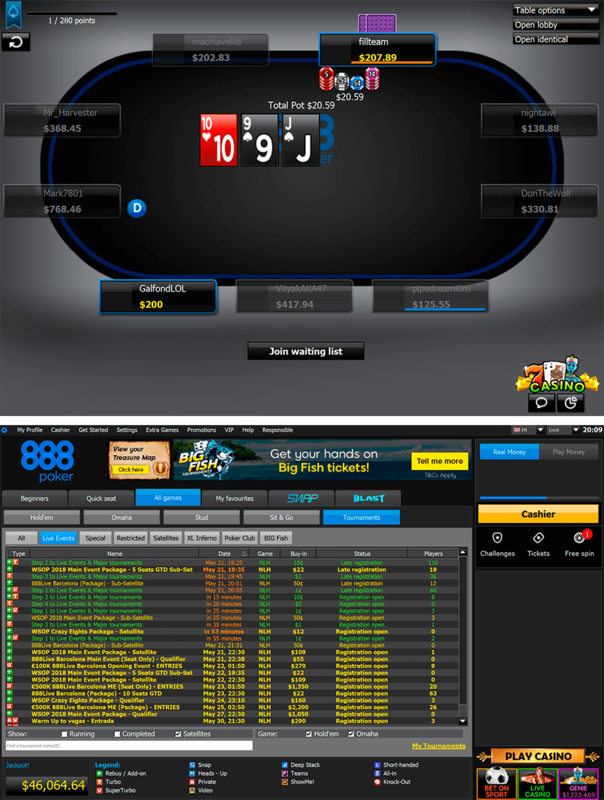 888poker.it has a direct support for trackers. At 888poker.it the rake is in the range from 2.5% to 5.5% (with rake caps) depending on the number of players at the table and the stakes. For example, at lower limits (NL2-NL20) the rake is 5.5% with a cap from 0.5 € to 3 €. PokerProDeals offers its players super-sweet conditions for playing at 888poker.it. For further information - feel free to contact our managers. How to register in 888poker.it?